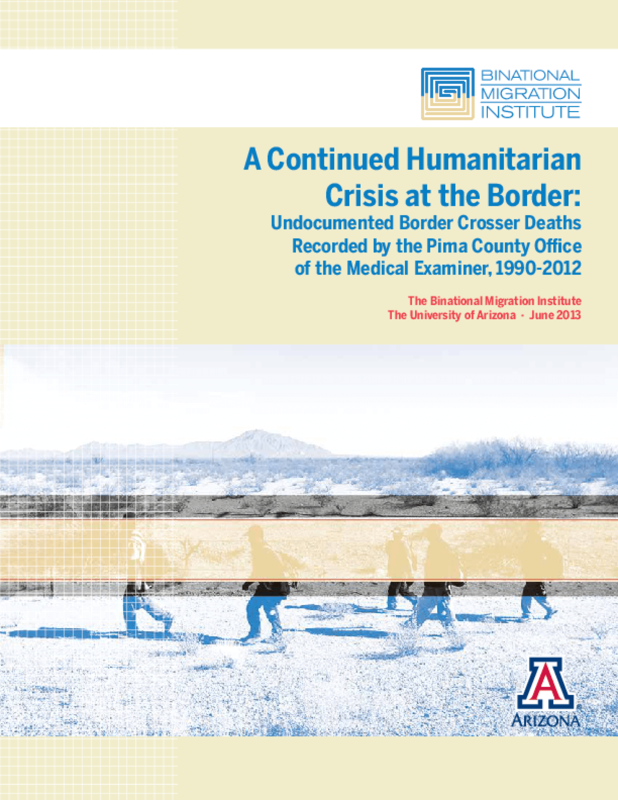 This report analyzes the numeric trends and demographic characteristics of the deaths of undocumented border crossers in the area covered by the Pima County Office of the Medical Examiner which is located in the city of Tucson, Arizona. This office provides medico-legal death investigation for the western two-thirds of the Tucson Sector's southern border with Mexico (Anderson 2008) and has been the office responsible for the examination of over 95% of all migrant remains discovered in Arizona since 2003 (Coalición de Derechos Humanos 2013). The data for this report come from the Pima County Office of the Medical Examiner. Copyright 2013 Binational Migration Institute at the University of Arizona.